*This article appeared in the September issue of The Advocate. You can find a PDF copy by clicking here. Most attorneys simply don’t know what to make of timeshares. Many understand that timeshares involve factional ownership of a vacation property or club and that Orlando is considered the timeshare capital of the world. However, when clients seek legal counsel on how to dispose an unwanted timeshare, the common advice is to sell it. In so doing, attorneys fail to realize that a timeshare interest purchased for $20,000 could now be listed on eBay for sale at $1 with no bids. Beneath the backdrop of a small to non-existent secondary/resale market, the recommendation, and natural inclination to sell facilitated the rise of unscrupulous companies that prey on such individuals. Timeshare fraud remains one of the top complaints reported to the Florida Attorney General. [i] Complaints range from misrepresentation at the initial sale[ii] to outright fraud when attempting to resell the timeshare in the secondary market. Regardless of when timeshare owners require assistance, attorneys are specially situated to assist and protect them from the rampant fraud in the timeshare secondary/resale market. During and following the recession, timeshare delinquencies (owners who defaulted on purchase loans or on the yearly maintenance fees) remained high. [v] Due to increased maintenance fees and declining purchasing power, owners realized that they simply could not afford the timeshare they once considered an asset. As a result, many started looking for ways to shed their timeshares. Facing financial difficulty, many timeshare owners offered to deed the timeshare back to the homeowner’s association or other managing entity (collectively, the HOA). These requests were almost always denied, even when the timeshare was paid in full. These denials stemmed from the HOA’s doubts that it could resell the timeshare interest. This refusal, along with threats of collection should the annual dues go unpaid was alarming to owners who often purchased these timeshare properties for tens of thousands of dollars. Seeking to avoid the deleterious affects of collection and foreclosure, owners looked for alternatives. In the absence of competent or willing legal assistance, timeshare cancellation or exit companies proliferated. In the early days of the recession, these companies largely took the form of transfer companies. These companies advertised their services aggressively online, mailed unsolicited postcards, and called timeshare owners directly. Owners were told that they could “escape” their timeshares by paying a large upfront fee, usually $3000 - $5000, for the company to transfer the timeshare to a new owner. However, they were consistently vague as to the identity of the transferee because in most cases, the timeshares were dumped into shell companies, nicknamed “Viking Ships” due of the destruction they caused timeshare HOAs. Viking Ships were often limited liability companies (LLC) set up for the sole purpose of taking title to hundreds or thousands of timeshares supplied by the transfer companies. Because the LLC had no assets, it would not pay the annual fees for the timeshares it owned. The HOA would send maintenance fee bills and threatening letters to the Viking Ship, but these letters were disregarded because the LLC had no intent in making payments, nor did it have any interest in maintaining good credit. With no assets to pursue, the HOA was forced to foreclose and reacquire the timeshare interest. The costs of foreclosure plus the lost income from unpaid maintenance fees was passed onto the other owners in the association in the form of rising maintenance fees, further exacerbating the problem. To combat transfer companies, resort developers and HOAs lobbied state legislatures to crack down on the Viking Ship model. For example, in 2013, Florida amended the Florida Vacation Plan and Timesharing Act. Specifically, the amendment requires that transfer companies maintain an escrow account to hold all upfront fees received from clients and specifies that these fees may not be released from escrow until the transfer has been completed and verified. [vi] Intentional failure to comply with these requirements constitutes a third degree felony. [vii] The law applies to transfers of all timeshare interests either located or offered for sale in Florida as well as to interests associated with resorts located in Florida,[viii] thereby encompassing a very large percent of timeshare interests. Transfer company activity declined because many HOAs refused to accept transfers to LLCs; they knew the transfer business model and refused to sit back and let it happen. They even created a shared registry[ix] to track suspicious LLCs and as a group, refused to accept the requested transfers. Because so many transfers were denied, money became locked up in escrow and profits declined rapidly. As a result, new and different timeshare exit schemes filled the void. Donation companies were one such group. These companies largely operated as transfer companies in that they request a large upfront fee to transfer the timeshare out of the owner’s name to a charity, often set up by the donation company. The pitch was that donors could claim a deduction of the timeshare’s value, reducing their tax liability for that year. Moreover, owners paid high transfer fees, usually to a title company owned by the donation company. One such company, Donate for a Cause, provides an illustrative example of why this scheme was problematic. According to the injunctive suit filed on November 23, 2015 in the U.S. District Court for the District of Montana, Donate for a Cause and its related entities inflated the fair market value of the timeshare, resulting in improper and grossly inflated charitable contribution deductions on its clients’ tax returns. [x] What happens to the timeshares? According to the suit, they are held for a short time before they are sold for a fraction of the appraised amount. [xi] In other cases, they may be deposited into a Viking Ship. Outright fraud is also common. Many timeshare owners have been contacted by a supposed timeshare reseller or escrow company and told that an individual or company seeks to purchase the owner’s timeshare, usually for an outlandish purchase price. Owners, thinking this is an answer to prayers, sign the sale contract, only to find shortly thereafter that a “foreign tax” is required to release the funds. Once the owner pays the tax (via untraceable wire transfer), any number of additional fees is then claimed to be required. Once the scammers have received hundreds to thousands of dollars, all communication stops and the owner is left with the timeshare. Advocacy groups seem to be the latest scheme. These companies advertise aggressively indicating that they can help consumers “safely and legally” get out of their timeshares. Many give the impression that they are attorneys, or have attorneys on their staff, which is rarely the case. Like most timeshare exit schemes, advocacy groups advertise aggressively online, request large upfront fees, and claim to have a 100% success rate. Once the upfront fee is paid, the advocacy group instructs owners to cease payments on the timeshare and to mail form letters to the timeshare’s HOA. These form letters are easily recognizable and usually ignored by HOAs. 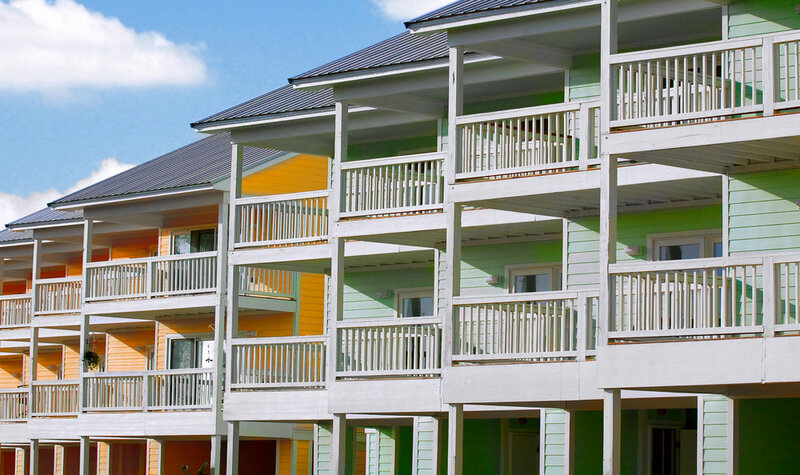 Often, the HOA will eventually foreclose on the timeshare for nonpayment, enabling the advocacy group to claim success, sometimes at the expense of the owner’s credit rating. Under the scrutiny of the unauthorized practice of law or because some HOAs refuse to acknowledge or cancel files, many exit companies are now soliciting attorneys to push the transfer or cancellation of the timeshare contract. The ethical concerns involved in such a relationship are not new. For example, in the wake of the recession, companies solicited attorney involvement in loan modifications, short sales, and other rescue services on behalf of distressed homeowners. The Florida Bar published an ethics alert, which warns attorneys that many such arrangements run afoul of numerous ethics rules, including fee sharing, assisting in the unauthorized practice of law, advertising rules, and inappropriate referral sources. [xiii] The same rationale applies to timeshare exit companies now seeking to partner with attorneys. Timeshare owners seeking legal assistance will remain consistent or rise for three reasons. First, timeshare scams will continue to plague the industry and owners require legal protection. Moreover, many timeshare owners are aging, thereby requiring legal assistance for estate planning purposes or cancellation services to avoid passing on the timeshare obligation to heirs. Finally, the rise of home and vacation-sharing websites will cut into the timeshare market share. Existing timeshare owners will question the wisdom in owning a timeshare with its accompanying annual fees (due whether or not the timeshare is used) when they can rent an Orlando home on HomeAway.com for roughly the same amount. Idaho attorneys must be willing to take timeshare cases and avoid advising owners to sell or to look online for help. Time should be taken to review the purchase agreement with clients and to explain the rights and obligations of timeshare ownership. Should clients seek cancellation of the contract, attorneys can contact the HOA directly to offer the forfeiture of the underlying contract. Associations are more likely to accept cancellation requests coming from an attorney, especially when faced with the alternative of the client turning to an exit company should the attorney be unable to secure cancellation. Although a cottage industry of timeshare attorneys and law firms has grown over the last few years, this is a practice that many Idaho lawyers/firms can and should handle. Attorneys practicing in contract, business, consumer protection, or real estate, among others, have skills conducive to this area of law. Moreover, legal services are superior to exit companies in that they provide attorney-client privilege, the ability to offer legal advice, consumer protections through state bar licensure, and the ability to bring suit. Surprisingly, attorney representation is likely cheaper than the onerous upfront fees required by all exit companies. In sum, the legal community can do much combat the numerous exit company schemes and add greater stability to timeshare owners looking for legal assistance. [i] Florida Office of the Attorney General, Timeshare Resale Fraud, http://www.myfloridalegal.com/timeshares. [ii] For an illustrative example of common complaints, see Overton v. Westgate Resorts, Ltd., in which Mr. and Mrs. Overton alleged misrepresentation and fraud after numerous verbal promises during the sales presentation were never realized. Uncommonly, the Overtons were awarded $500,000 in punitive damages as well as costs and attorney fees. No. E2014-00303-COA-R3-CV. [iii] American Resort Development Assoc., State of the Vacation Timeshare Industry: United States Study 2015 Edition, http://www.arda.org/arda/aif-foundation/default.aspx?id=5320&libID=5339. [iv] ARDA, 2014 Timeshare Owner Market Sizing Omnibus Survey, http://www.arda.org/aif-foundation/research/timesharedatashare/november2014datashare.aspx. [v] Fitch Ratings, U.S. Timeshare ABS 4Q Delinquencies Reach Three-Year High (Feb. 12, 2016), https://www.fitchratings.com/site/pressrelease?id=999435. [vi] Fla. Stat. § 721.17(3)(c). [vii] Fla. Stat. § 721.17(3)(d). [viii] Fla. Stat. § 721.17(3)(f). [x] The United States Department of Justice, “Justice Department Sues to Shut Down Abusive Tax Scheme Involving Improper Deductions for Donating Timeshares, https://www.justice.gov/opa/pr/justice-department-sues-shut-down-abusive-tax-scheme-involving-improper-deductions-donating. [xiii] The Florida Bar, Ethics Alert: Providing Legal Services to Distressed Homeowners, http://www.floridabar.org/TFB/TFBResources.nsf/Attachments/872C2A9D7B71F05785257569005795DE/$FILE/Ethics%20Legal%20Service%20to%20Homeowners.pdf?OpenElement. [xiv] Idaho Code § 55-1820. [xv] Idaho Code § 55-1819.